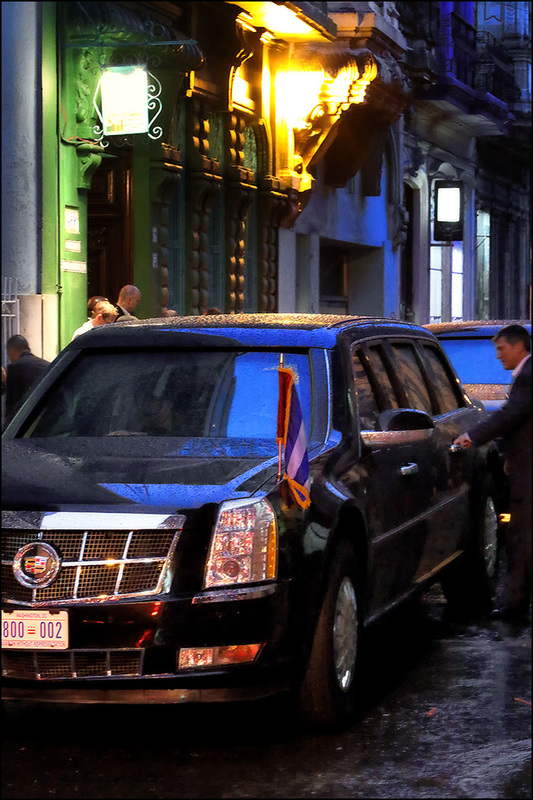 I wonder how many Americans have ever been this close to the Presidential limo. I don’t think one can get this close in the United States. 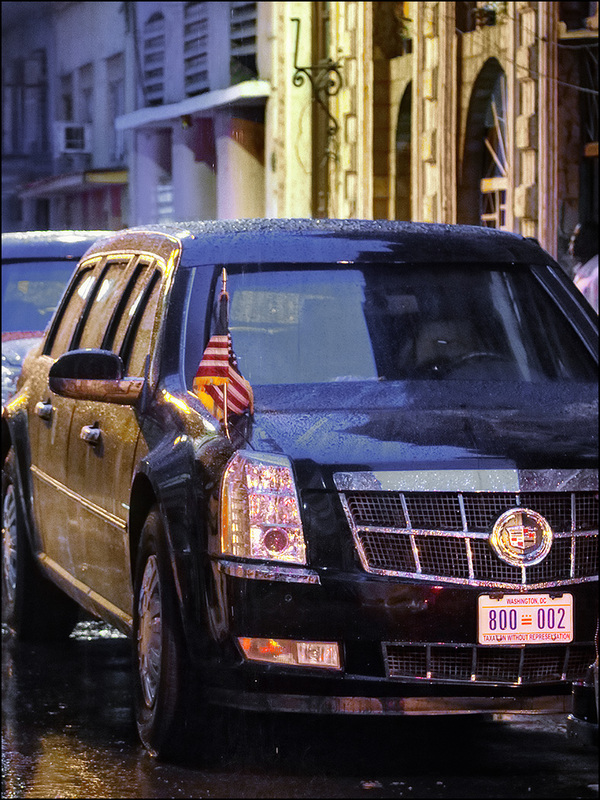 These photos were taken in 2016 during the U.S. President’s visit to Havana. I happened to be staying across the street. Wide angle shot from just outside the doorway to my casa. The woman on the right is U.S. secret service. I assume the man with the extra long backpack was also secret service. 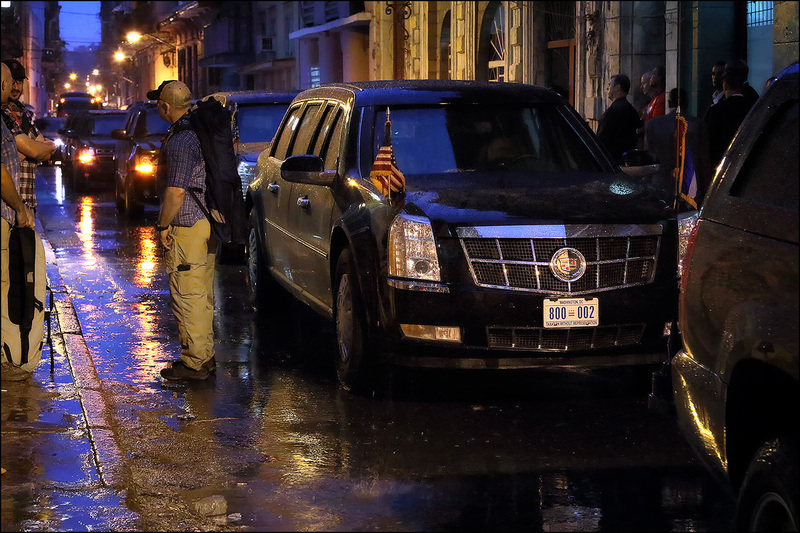 I was amazed at how relaxed all the U.S. personnel were, in comparison to the Cuban security force. Cars filled the street ( San Rafael ) for as far as I could see and they all kept their engines running. 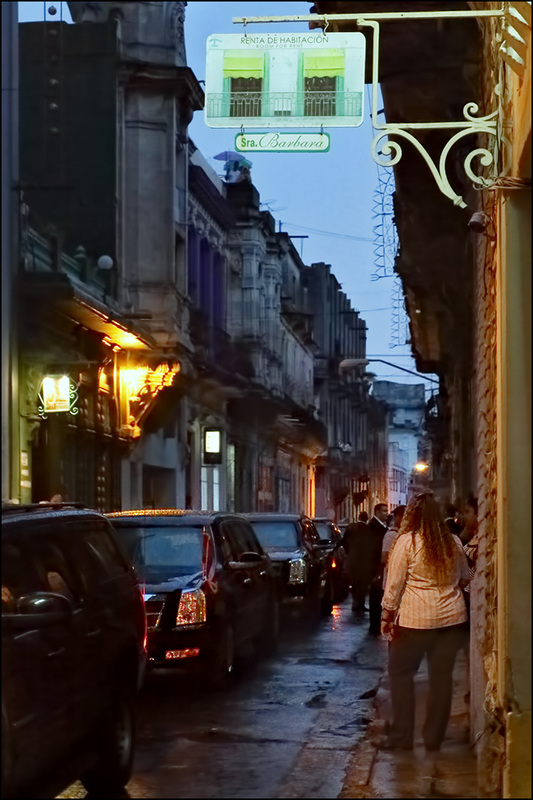 After jumping back and forth from one side of the street to the other, this woman said “You, SIR, are to get in one doorway and stay there”. I went back to my balcony. Great images Mark. Location, location, location. 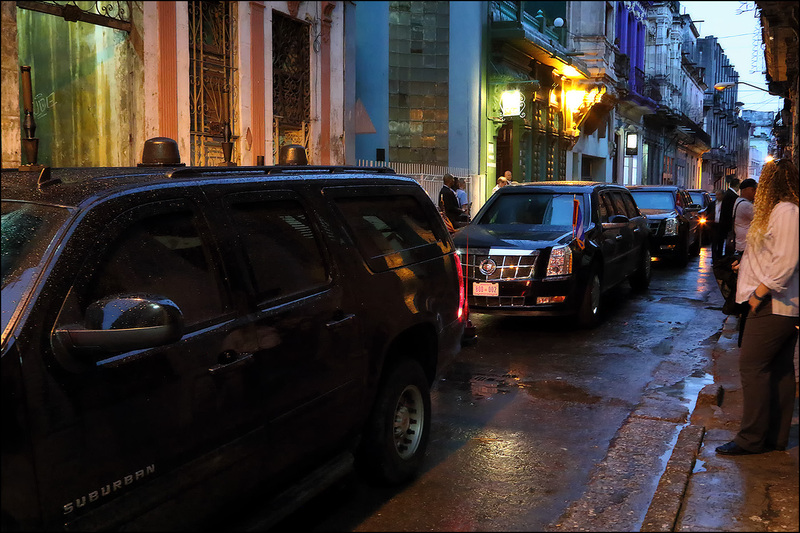 I cannot imagine being in Havana and having the Presidential motorcade drive by. What a great photo op for you. I’ve also had numerous up close and personal opportunities with President H. W. Bush’s motorcade. When he was President, his motorcade used to drive right by my house in Kennebunk, Maine! Thanks for posting some amazing images. See you soon Mark.